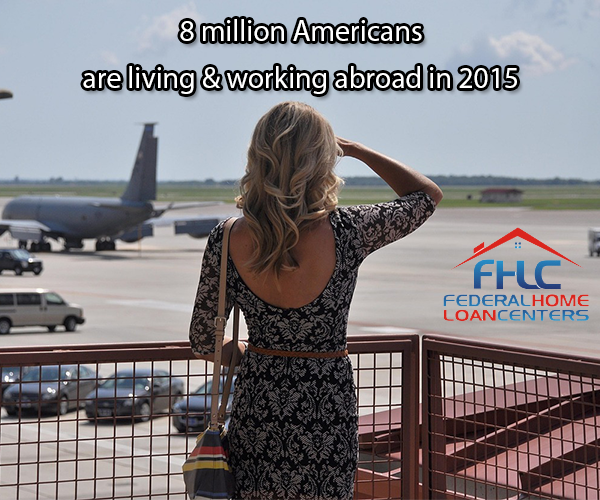 Can you imagine the experience of working and living overseas while still maintaining your American citizenship? This is presently the daily life of about 8 million Americans, as proclaimed by The Association of Americans Resident Overseas. Expatriates, AKA ex-pats, are situated throughout the world with the most amount in the Western Hemisphere and the least in Africa. To put in perspective, the “minority” in Africa is estimated at 171,000 people, which is only a small number below the population of Providence, Rhode Island! If a change of scenery is needed, look for a new job and new home in Puerto Rico, the Virgin Islands, America Samoa, and Guam. With rural areas in all these places, the USDA home loan with no down payments will be highly helpful. Otherwise, those who qualify for the VA home loan can use the benefit in either of these places, while the FHA home loan program is popular for Puerto Rico and the Virgin Islands. American Samoa has a population just a smidge over 50,000 and is in a tropical environment, situated as islands in the Pacific Ocean. Puerto Rico is the perfect beach destination and a world-class location for diving & SCUBA activities. The Virgin Islands considered U.S. territories are Saint Croix, Saint Thomas, and Saint John, with Saint Croix being a popular cruise destination for tourists. Guam is also surrounded by beaches, while the Northern Marianas are often called “America’s best kept secret” with its sultry climate and staggeringly beautiful coasts. Though many love the ex-pat life, there are those who find the grass isn’t greener on the other side of the fence. There are those who may want to come home, or are already exploring their options for homecoming. 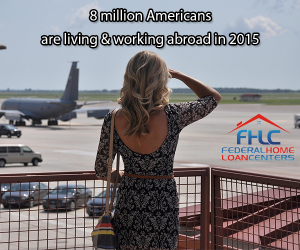 If you are looking to ease back into civilian life stateside, consider a federal home loan when finding a residence. Aside from the financial benefits, they all do not require you to be living in your new residence for up to 60 days or more, which will make your transition easier! The zero down payment USDA home loan will be a great way to live somewhere quiet compared to cities overseas like Tokyo, with over 13 million people, or Delhi, with over 25 million people. On the flip side, if you were living in a scarcely populated place where the nearest neighbor or business was miles away, the low-interest FHA home loan for a city condo will likely put you at ease. The VA home loan, when eligible for it, is terrific with its zero down payment benefit, and can be used on city condos or homes in suburban and rural settings. 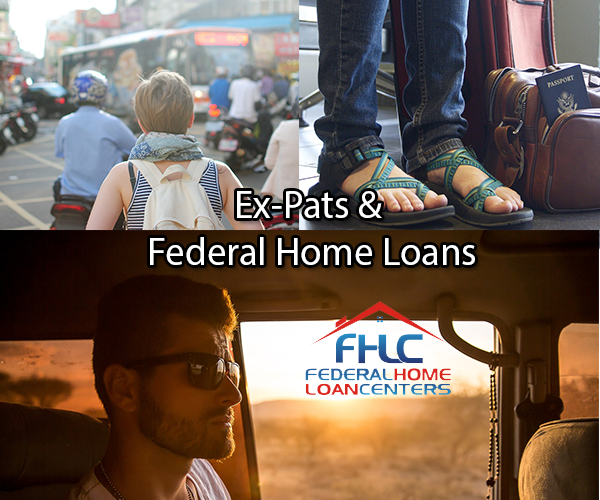 If you want more information on how to get your ex-pat home, or how to obtain a home stateside if coming back from overseas, chat with a rep on our site or tweet @FedHomeLoan. You will enjoy the fact that most of the work can be done via email and online!